“taking a lead from indigenous women, science knowledge honed from our natural world cannot just remain a body of insights, but should be embedded in how one actually lives”. Irene Fogarty said she would donate half of the prize money to the UN Fund for Gender Equality. 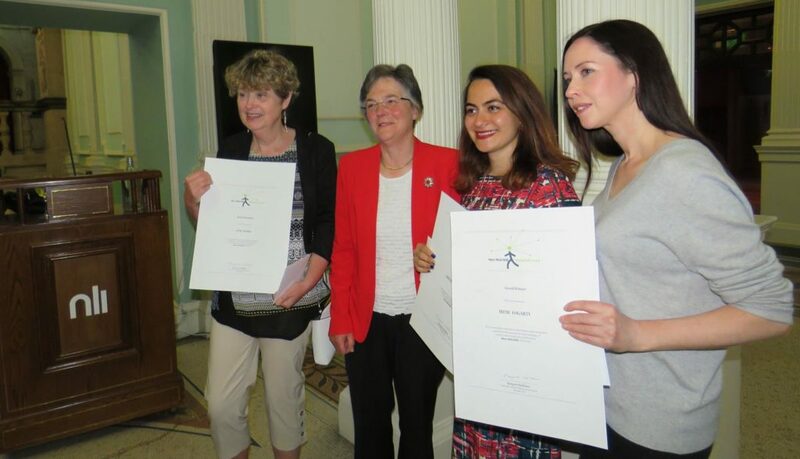 Anne Burke (DCU) and Adeleh Mohammadi (NUIG) received commendations for their submissions. Prof Jane Grimson of TCD presented the awards, and Mary’s husband, Dr Brian Dolan, spoke movingly on Mary’s work and their travels together.